Like an anchor wedged in the lake floor, Grace Stone’s heart is submerged in the past. Drowning in guilt over the role she played in her father's and sister's deaths, Grace prays that launching her water survival program at Camp Moshe will properly honor their memory and enable her to move on. But success depends on Grace risking everything on the man hired to rebrand the Christian camp. Kye Campton’s usual confidence wavers when his extreme sports campaign lands him in hot water with the cautious instructor and it becomes increasingly evident that Camp Moshe’s fight for survival is against more than a declining economy. Will Kye be able to save the camp—and Grace—from a saboteur determined to close the camp at any cost? Kye Campton shrugged out of his dark suit coat and tossed it through the open window of his two-door sedan parked in front of Camp Moshe’s offices. He had some time to kill before meeting with the camp’s new swim instructor, Grace Stone. He folded up the cuffs of his suit pants, unbuttoned the top three buttons of his white dress shirt, and walked barefoot toward the sandy shoreline of Lake Moshe. The lapping coolness of the Georgian Bay washed over his toes, and he inhaled June’s promise of heat. A small boy paddled a blue canoe, and a smile tugged at his lips. If he had his way—and he usually did—this place would be crawling with kids canoeing, parasailing, horseback riding, and enjoying God’s creation. The peaceful backdrop of the sun peaking over the swelling hilltops would draw families in need of rest. Which, according to his doctor, also happened to be what he needed. He was set to collide with burnout, and thirty-year-olds shouldn’t get burnout. “Look out!” A blur of red streaked past him, knocking him to his hands and knees. Water sprayed out around him. “Hey!” He pushed up and shook off the wet. 911? His eyes snapped to the horizon. Waves lapped against the side of a capsized canoe. The boy! A crest of water washed over a small form and pushed it underneath the rolling surface. Kye fumbled for his phone and rushed knee-deep into the lake while punching in the numbers. Pounding feet on the nearby dock dragged his gaze to the left. The woman had stripped down to a bathing suit and shouted indecipherable commands into the wind. The breeze snatched her words away. Before he could shout, move, or do anything, she dove into the lake. “We need an ambulance at Camp Moshe.” He glanced around, searching for the nearest lifeguard tower. “We are at the beach front by tower number two. A child is in trouble in the lake…Yes, someone has gone in after him. She’s…she’s…” he tracked her movements. Her toned arms cleanly sliced through the water with confident strokes and, despite swimming against the current, her pace never slowed. “She doesn’t seem to be struggling. She’s got the boy now. She’s pulling him in.” She exhibited impressive strength and competence as she turned the boy over, tucked him into the crook of her arm while supporting his head, and swam him in. The operator wanted him to stay on the line. He punched the speaker option and slipped the phone into his shirt pocket. 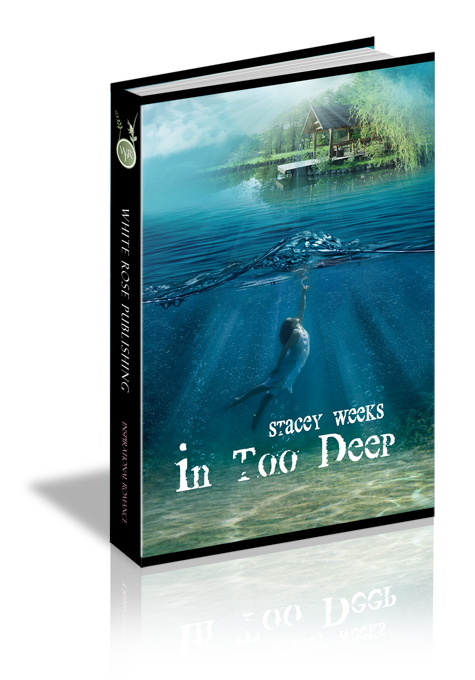 He waded deeper into the water meeting her at hip level. He wordlessly took the still child from her arms. She must be tired, although she didn’t look it. He carried the boy to the beach and lay him down on the sand. Before he even had a chance to look him over, she nudged him out of the way. “Is he breathing?” The operator’s voice blasted through his phone. The woman checked the boy’s airway and monitored his chest. Seemingly satisfied with what she saw, she rolled him onto his side and extended one arm out perpendicular to his body and pulled up one knee into his chest. The child spluttered and coughed. Her velvety voice slowed Kye’s panic and seemed to calm the child who only looked about eight years old. He seemed old enough to know better than to go out on the lake alone, but young enough to make reckless decisions. She sat back on her heels, never shifting her eyes from the boy’s face. Her damp hair hung down her back in tangled waves and clung to her tanned skin. Her strong physique, muscled but still feminine, hardly seemed winded; but then he noticed the slight heaving of her chest. Her sharp and silent intake of oxygen belied her facade of ease. He turned off speakerphone and spoke directly into the mouthpiece. “I hear the sirens. The ambulance is almost here and the boy is coughing. He seems to be OK. Thank you.” Kye disconnected. Paramedics dropped down beside the boy, and she gave them a succinct summary of events while stepping back to give them the space they needed to work. He waited for her attention. Nothing. She fixated on the child at first, and then her eyes closed and her lips moved. Was she praying? He cleared his throat. Finally, she looked at him. In the brief second they made visual contact, fear, relief, and exhaustion flashed through her eyes. “Thank you,” he tried again. He waited for her to say more, but she didn’t. Instead, she shaded her eyes and studied Camp Moshe’s boatshed. After a few seconds, she shifted her interest to the empty lifeguard tower and finally rested on the camp offices just up the gravel path where he had parked his car. Her eyes narrowed before they swung back to him and roamed up and down the length of his body. He got the feeling that both he and the camp had failed some sort of test. “Why wasn’t the boatshed locked? Camp Moshe always locks their boatshed until the lifeguards start work at the end of June. Where’s Uncle Carl? Who’d he leave in charge of the beach?” She fired her questions one after the other. Kye blinked. She knew too much about camp to be a cottager on vacation. The only person scheduled to be here right now, who’d dive into the lake without hesitation and ask these kinds of questions with such authority, was Grace Stone. This was not the way he had planned to meet his predecessor’s niece. Kye knew he should have let her walk away. But against his better judgment, he followed at a respectful distance, comparing her to the polished women he usually rubbed shoulders with in the business world. She radiated simplicity, like the girl next door but all grown up. She’d probably choose jeans, flip-flops, and a beach BBQ over dining at a splashy, high-end restaurant. He’d bet she was nothing like his high maintenance ex-fiancé, Annette. She gathered the rest of her discarded clothing and paused at the end of the dock, looking out over the water. The morning sun glowed, creating a tranquil, almost postcard-like, picture. Kye waited. She had to come back this way at some point. She finally turned. If she was surprised to see him standing there, she hid it well. She walked toward him, appearing neither repentant for her earlier onslaught of questions nor embarrassed by them. Question 1: How does Grace's struggle with survivor's guilt affect her? Answer 1: Grace believes her father and sister's deaths were her fault, therefore she cannot move on with her life until she properly honours their memory. Question 2: What does Kye find attractive about Grace? Answer 2: Grace is a paradox of fear and strength that intrigues him and drives him crazy. He loves her simplicity and her faith in the Lord. Question 3: Why does Grace believe she cannot have a relationship with Kye? Answer 3: Grace believes that she cannot be with a relationship with someone who takes risks and thrives on adventure. Question 4: What does Grace learn about God by the end of the book? Answer 4: Grace learns that her father's choice to sacrifice himself to try and save her sister was driven by love, not recklessness. It illustrates to her how God's love drove Him to sacrifice Christ in order to save us. Question 5: What does Kye learn about God at the end of the book? Answer 5: Kye learns that even if his ability to think outside the box and fix problems is a gift from God, he must use that gift in submission to God. Question 6: What lie does Grace believe about the world that the story proves untrue? Answer 6: Grace believes that a responsible man doesn't take risks but learns through Kye that her logic is faulty. Question 7: What lie does Kye believe about himself that the story proves to be untrue? Answer 7: Kye believes that sheer determination makes him able to fix anything on his own strength, but by the story's end, he must depend on a community of men to save what matters most to him. Question 8: Why does Grace feel like she has to prove herself to Kye? Answer 8: Grace is driven to prove her worth because of the guilt she carries over her role in her father and sister's death. Question 9: What is Grace's greatest weakness? Answer 9 Grace will not trust or depend on others. Question 10: What is Kye's greatest need? Answer 10: He needs someone to believe in him.